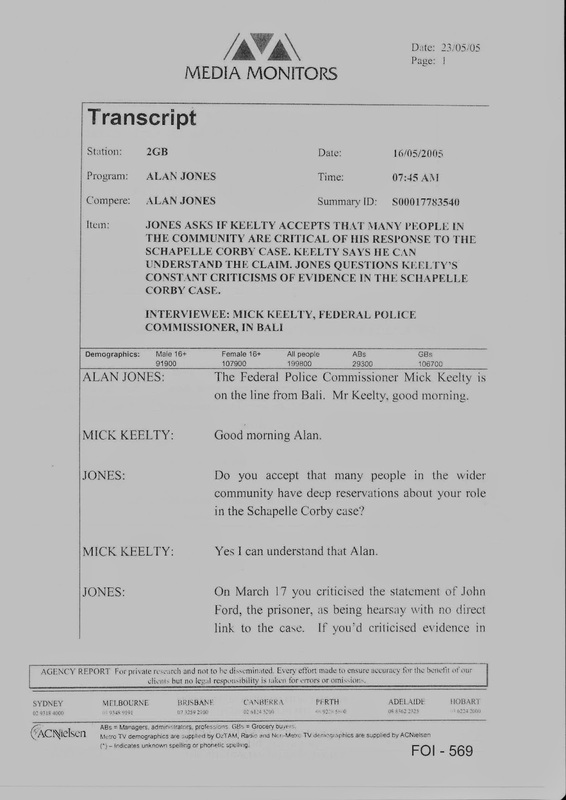 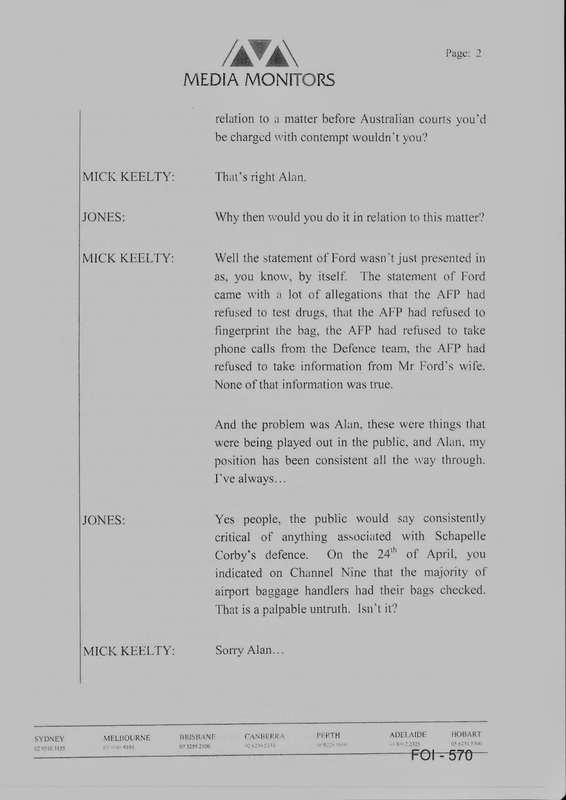 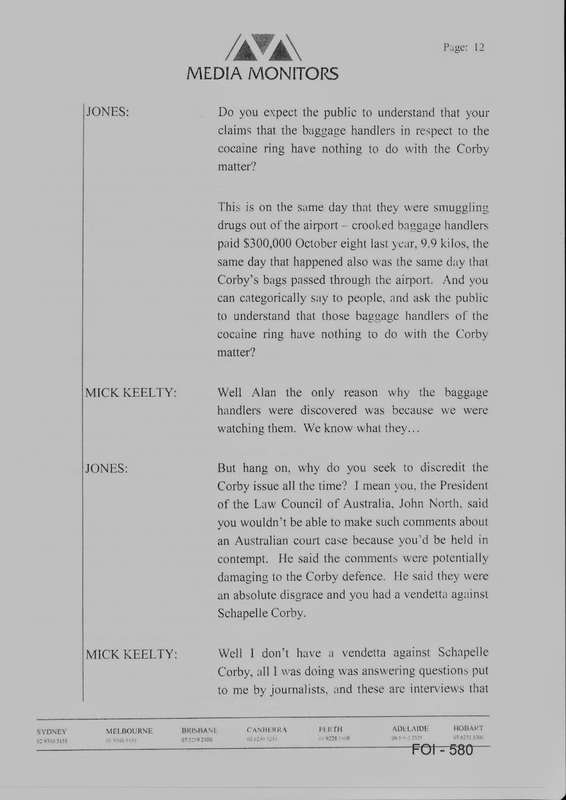 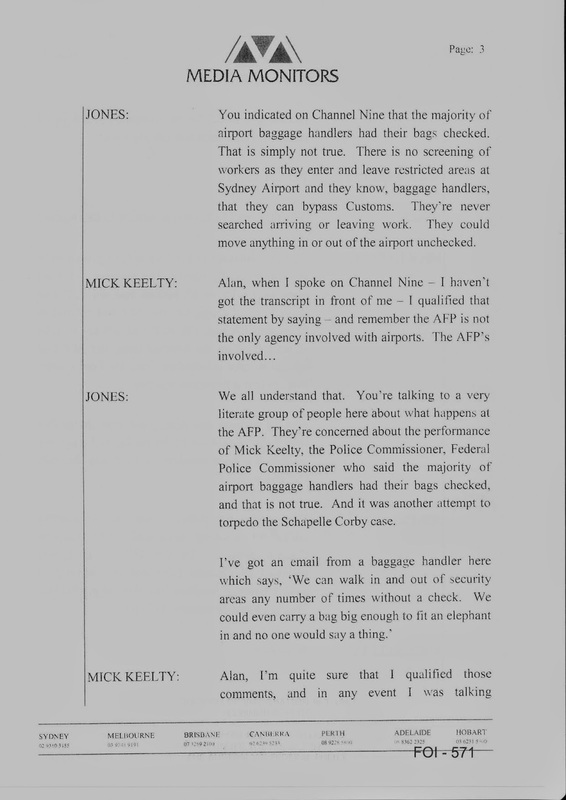 Throughout the Bali trial, AFP Commissioner, Michael Keelty, repeatedly intervened, with a series of hugely damaging, and often false, public statements. 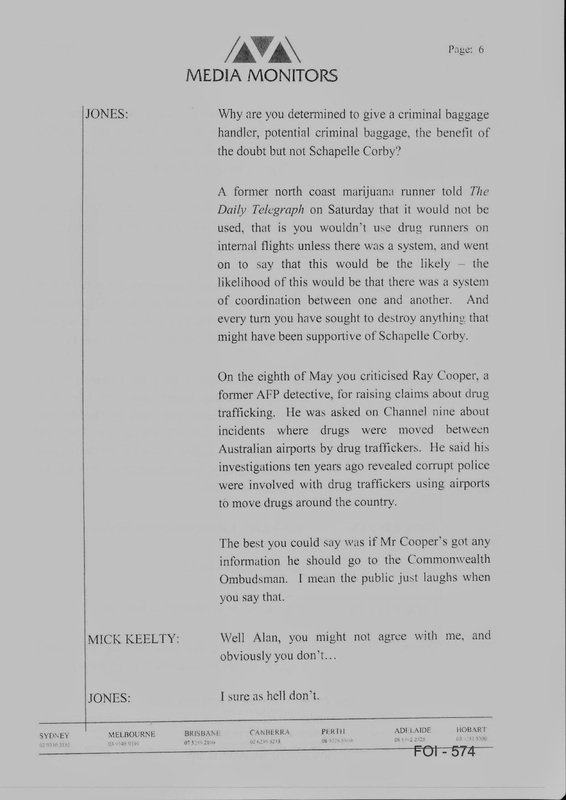 Such was the impact of his ongoing commentary, that the Law Council of Australia issued a statement of condemnation. 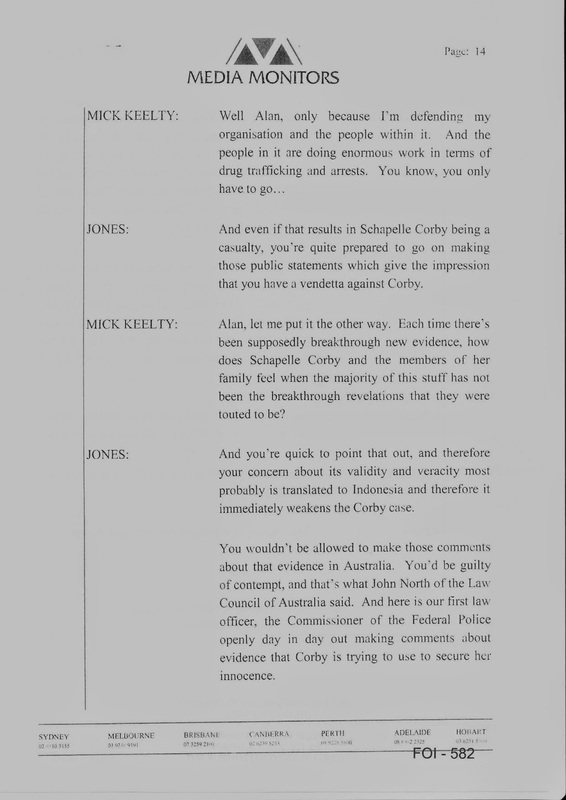 The damage he caused to Schapelle Corby's prospects is incalculable. 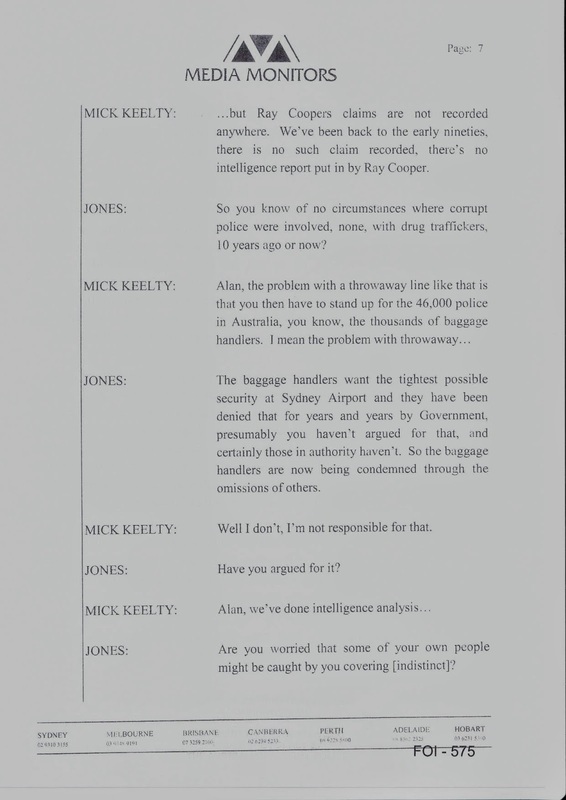 The extracts below are taken from an interview he gave in May 2005, in which he was confronted by Alan Jones, of Radio 2GB.